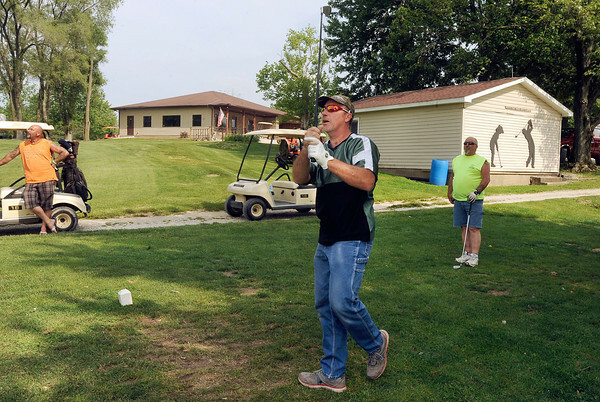 Loyal drivers: Bob Miller watches his tee shot fly towards the green as he golfs with fellow family members on Monday at Mark's Par 3. Miller has been a long time customer. The building behind him with the silhouettes was the original club house.